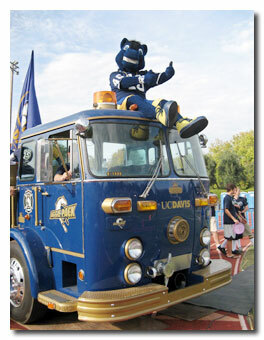 UC Davis is a great university, I recieved an excellent education. However, my field is hard to find employment without a Masters or higher, so I'm going to grad school. Anthropology is a very broad major, and I would have taken more science/technical courses in school. is something all my jobs wanted me to have, and well, anthro supplies that. The name is well known in the region, that's helped me too. Take as many courses as you can at your J.C…save some money. I'm wishing I did that, now that I have to foot the costs of grad school myself. Talk to professors…I find they are not as scary when it came time to letters of reference. Talk to them like an adult, and they will treat you like one. The one thing that hurt me during undergrad was keeping the 'rebel teen' mentality…that honestly gets you no where. Work and do internships!!! Sure the job market is tough for liberal arts students, but no one will ever hire you if you've never had a job. My first 'real job' wasn't much of a shock, since I've worked since I was 16. Oh yeah, PLAN AHEAD. I seriously goofed off senior year, so I had no savings, and took a crappy job to pay the bills…and it took me 4 months to find a one with a decent wage and benefits.